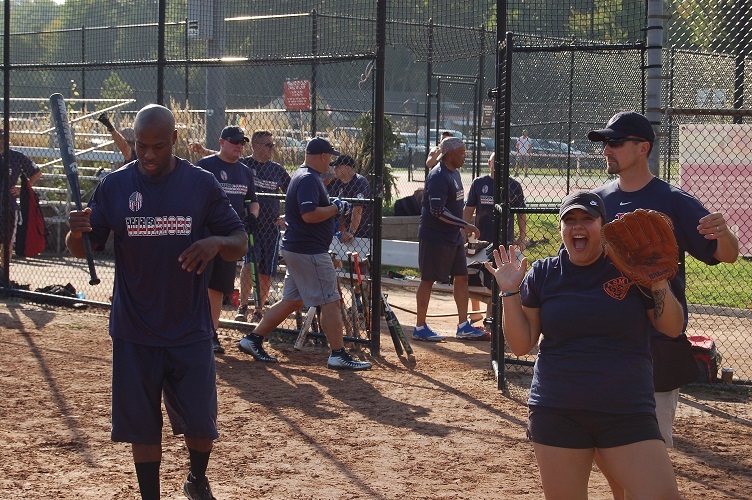 ASM Participates in Annual Charity Softball Tournament! 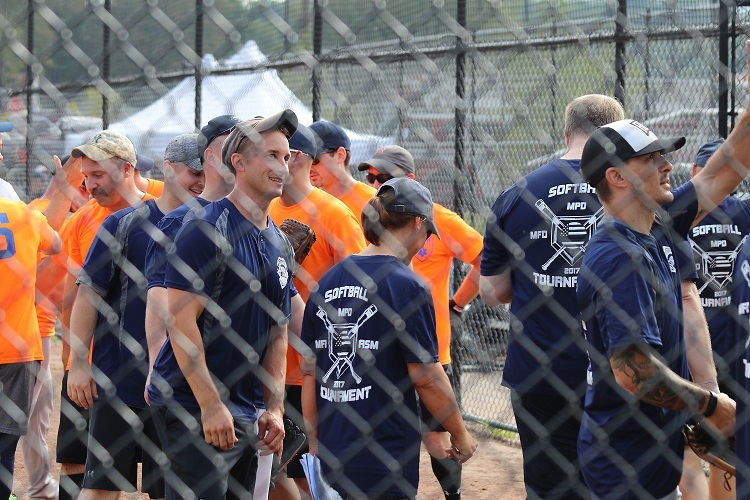 MANCHESTER — On Saturday September 15, 2018 Ambulance Service of Manchester employees returned to play in the 4th annual charity softball tournament against teams from Manchester Police Department and Manchester Fire Rescue EMS. 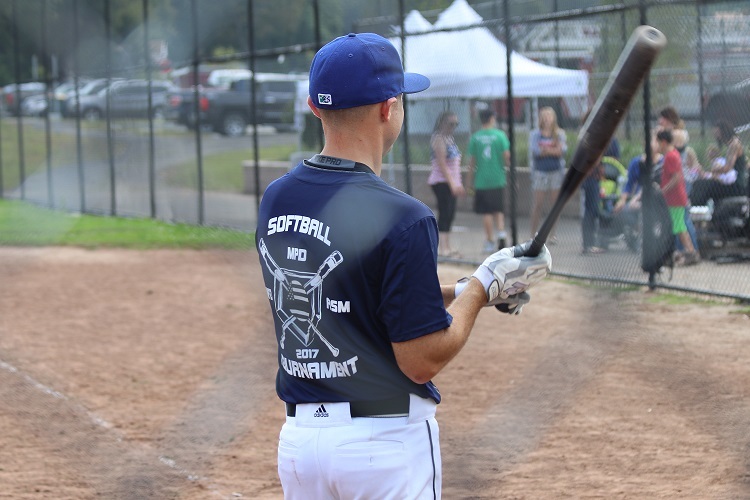 Proceeds from the event benefit the Manchester Police Benevolent Association. 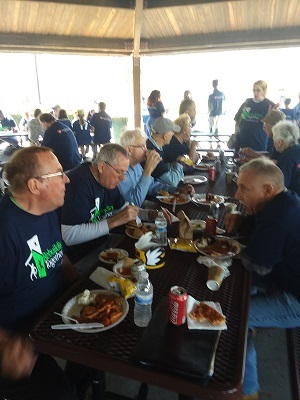 Photos from the event can be viewed below! 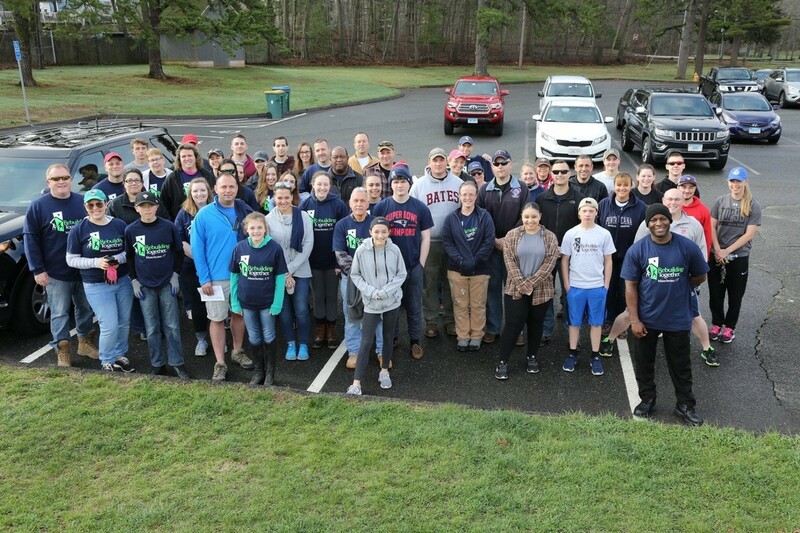 MANCHESTER- On Saturday April 28th, 2018 close to 30 ASM employees, friends and family members participated in the Town of Manchester’s 26th Rebuilding Together Event. 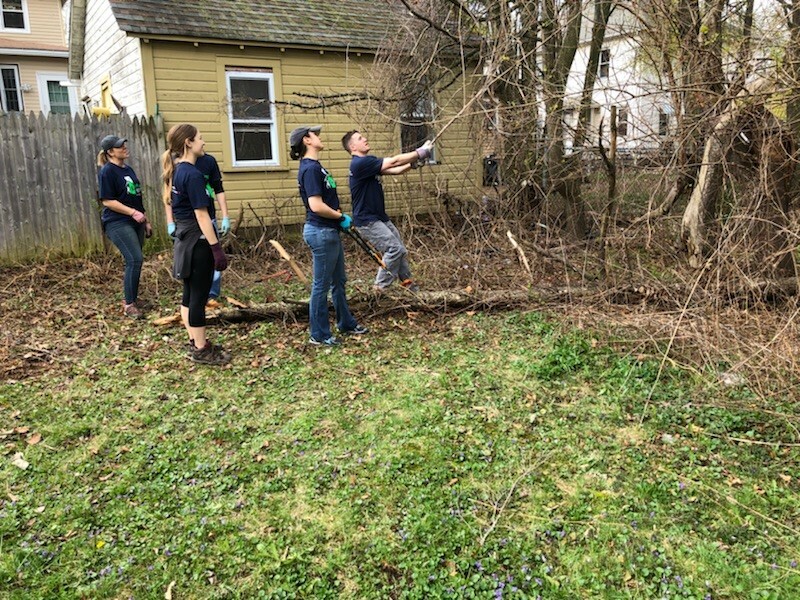 This “First-Responder Group” made up only a small portion of volunteers as nearly 1000 individuals registered for the work day. 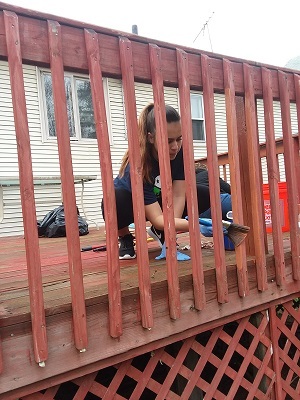 Part of a National non-profit organization, Rebuilding Together was formed with the goal of “bringing communities together in efforts to assist those in need of general home repair and improvements.” Teamed up with MPD and MFRE staff, ASM partakers tackled numerous projects ranging from replacing CO and Smoke Detectors to installing a mail box, cleaning up yards, and painting a large back deck. 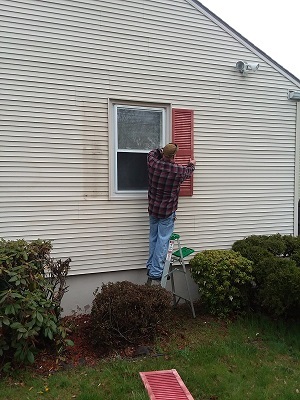 See below for pictures! 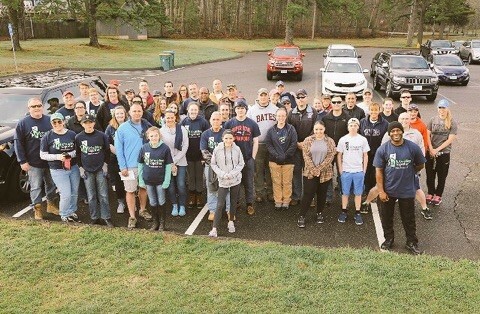 The Ambulance Service of Manchester is thrilled to announce that it has joined forces with the Town of Manchester Fire Department and Manchester Police Department for The Town’s 26th Rebuilding Together Event. 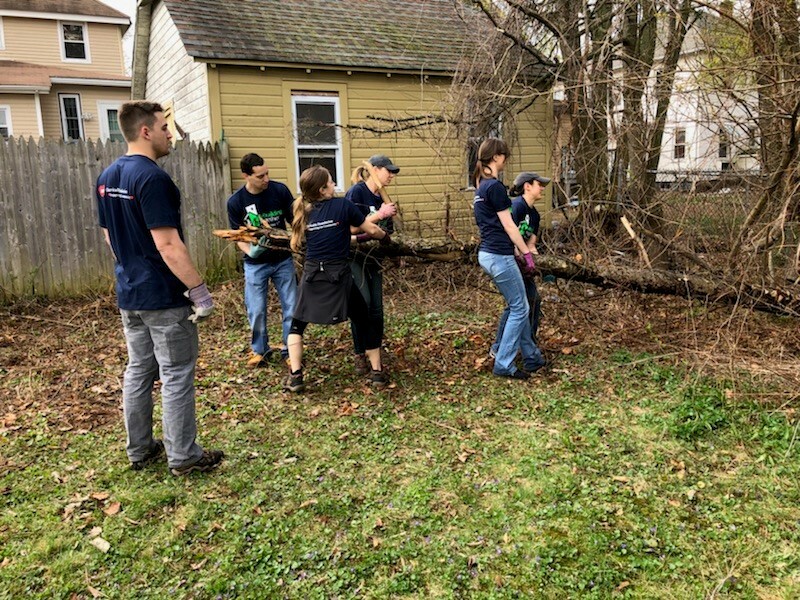 Part of a National non-profit organization, Rebuilding Together was formed with the goal of “bringing communities together in efforts to assist those in need of general home repair and improvements.” On April 11th, ASM employees, and members of MPD and MFRE were sent out in small groups to perform home assessments during phase one of the endeavor. 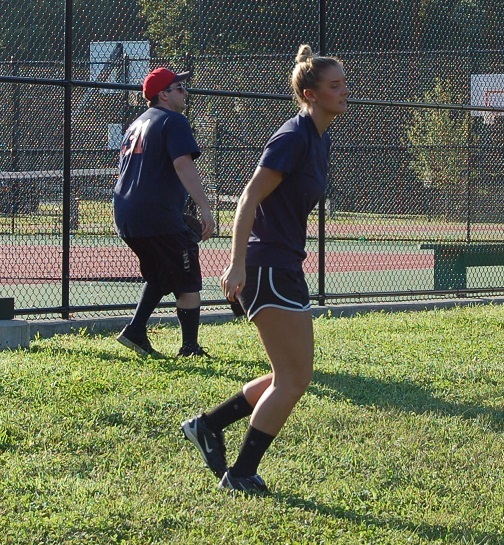 Each team compiled a list of projects in order to help streamline the workday on the 28th. 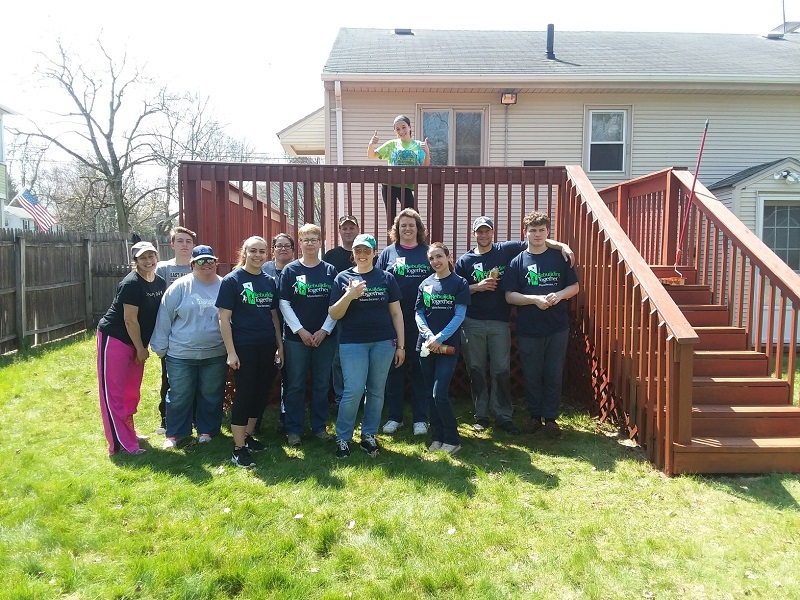 For more information on Rebuilding Together, please click here! 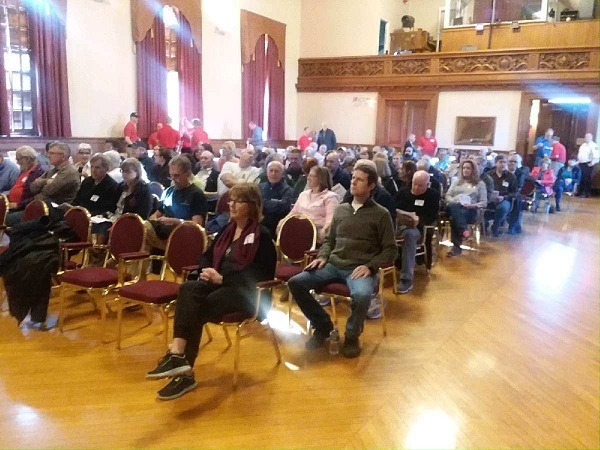 MANCHESTER-On Saturday, March 31, 2018 the town of Manchester joined with over 600 communities across the nation in observing the inaugural “Stop the Bleed Day” by hosting the American College of Surgeons’ Basic Bleeding Control course. 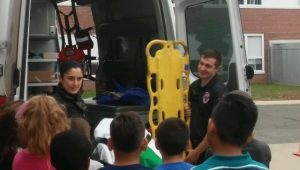 This course, which was offered free of charge to members of the community, provided participants with the knowledge and skills needed to save a life in the event of a serious bleeding emergency. 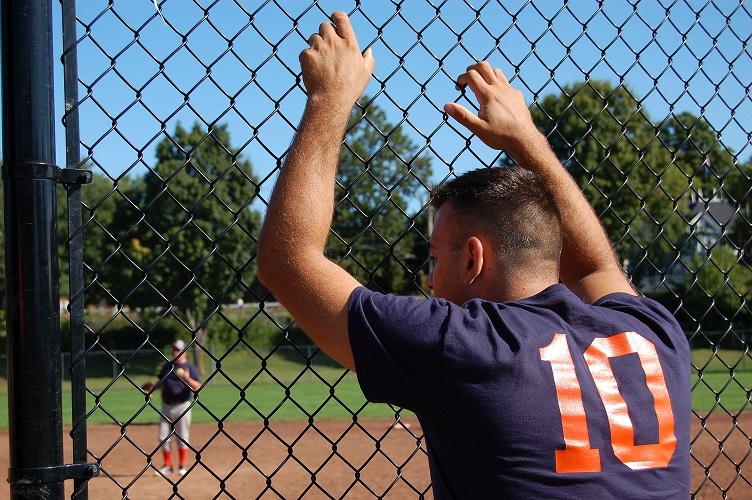 Bleeding is the number one preventable cause of death associated with a traumatic injury, regardless of the cause of that injury. 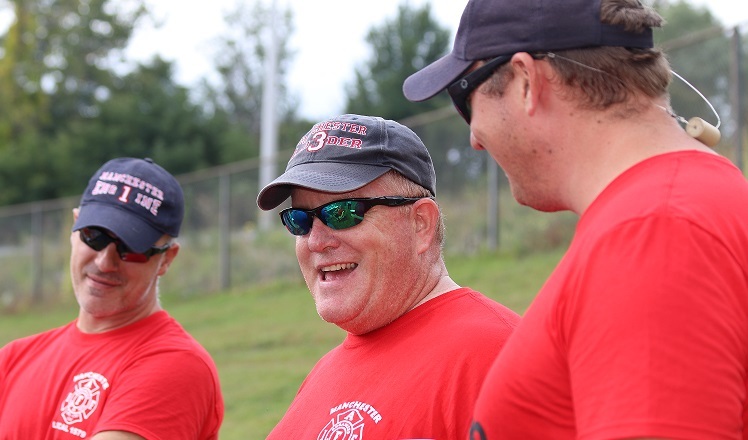 Manchester’s course was coordinated by Manchester Fire-Rescue-EMS and the Greater Manchester Chamber of Commerce. ASM’s Paramedic Greg Derosier and EMT/Field Training Officer Cory Lachance joined representatives from the Connecticut Office of Emergency Medical Services, Manchester Police Department, Manchester Fire-Rescue-EMS, Manchester Public Schools, and Manchester Health Department to teach participants hands-on bleeding control techniques. “Stop the Bleed traces its origins to the aftermath of the Sandy Hook School shootings on December 14, 2012. 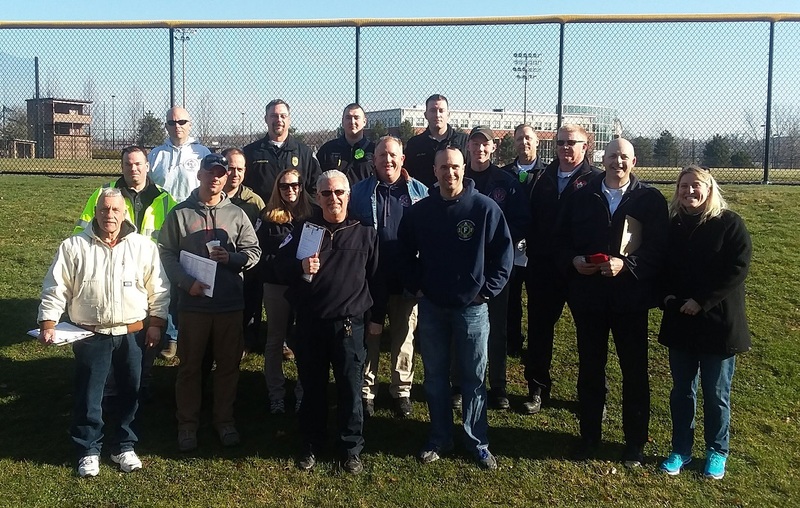 Shortly afterward, the ACS partnered with law enforcement and other interested national organizations to develop the Hartford Consensus. Out of this Consensus (where the initial meetings convened in Hartford, Connecticut), emerged an emergency response goal to improve survival following mass shootings and other intentional acts of mass violence by empowering civilians to take life-saving action when the need arises, regardless of the situation or cause of the significant bleeding. 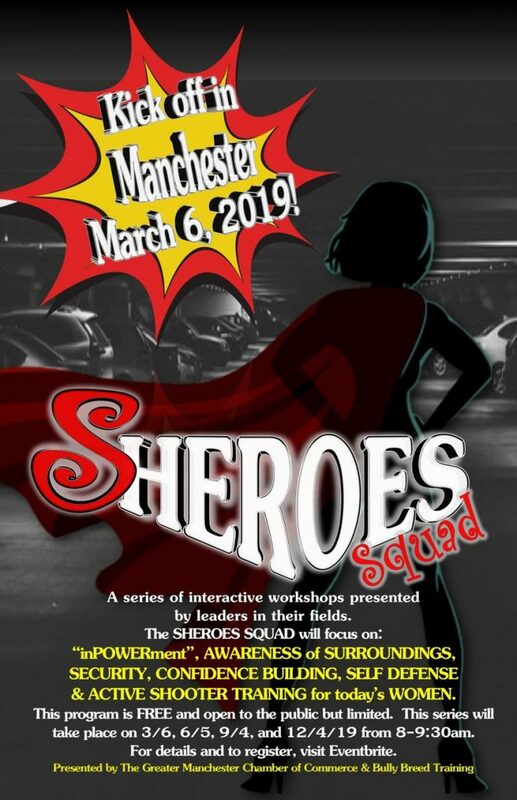 If you were unable to attend this course and wish to receive this potentially life-saving training, it is offered on an ongoing basis, FREE of charge, to anyone interested. Please visit http://bleedingcontrol.org and click “Find a Class” to locate a class near you. 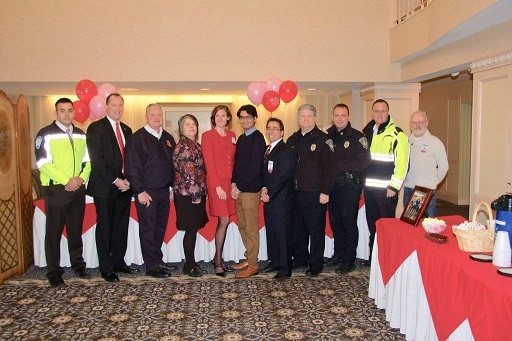 MANCHESTER — On Valentine’s Day, the staff and residents of Arbors of Hop Brook Retirement Community graciously hosted a “Love our First Responders” breakfast demonstrating their appreciation and respect for The Ambulance Service of Manchester, Manchester Police Department, and Manchester Fire Department. 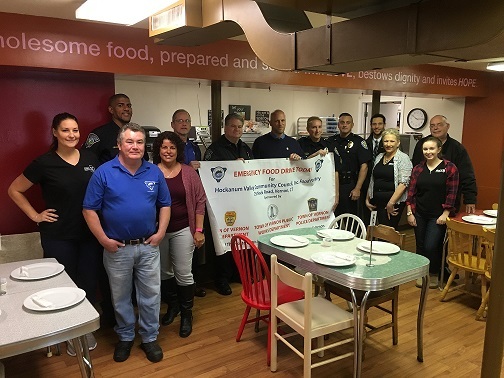 Members of each agency were invited to the facility for breakfast sandwiches, candies and a chance to socialize with thankful residents. 9th Annual Emergency of Hunger Food Drive Results! 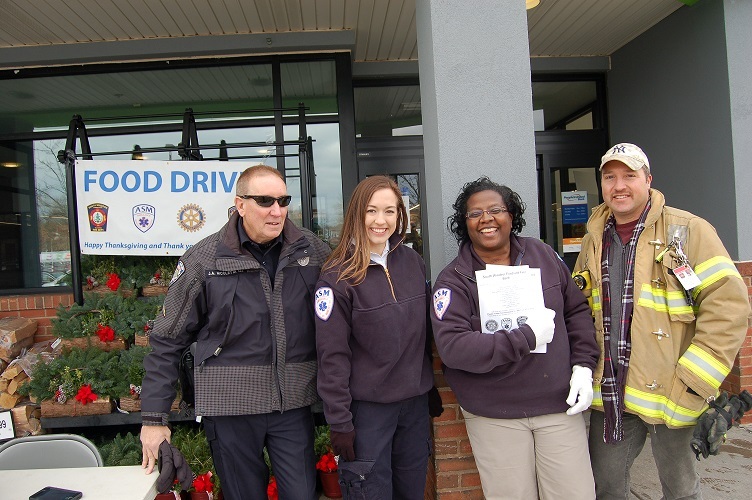 MANCHESTER – The 9th Annual “Emergency of Hunger” Food Drive, composed of first responders, Rotary members, and others, was a great success! 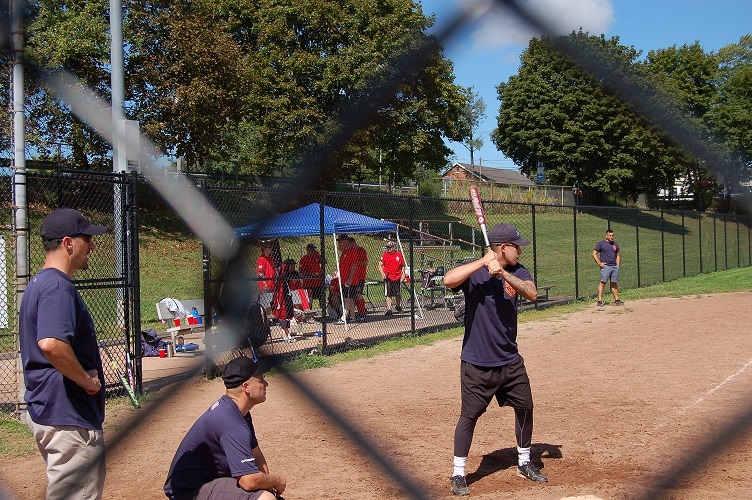 Their combined efforts continue to make a deep and widening impact on hunger in greater Hartford. 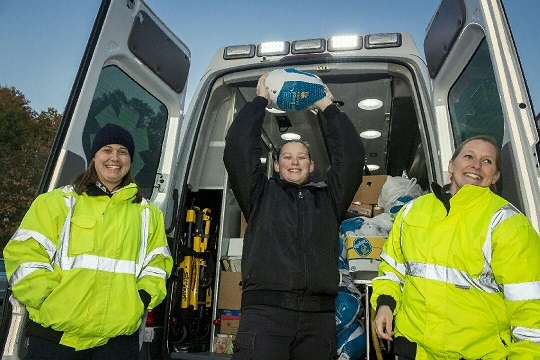 This year volunteers from Manchester, Vernon, and South Windsor collected a staggering 31,000+ food items, 675+ turkeys, and $16,000 in gift card and monitory donations. 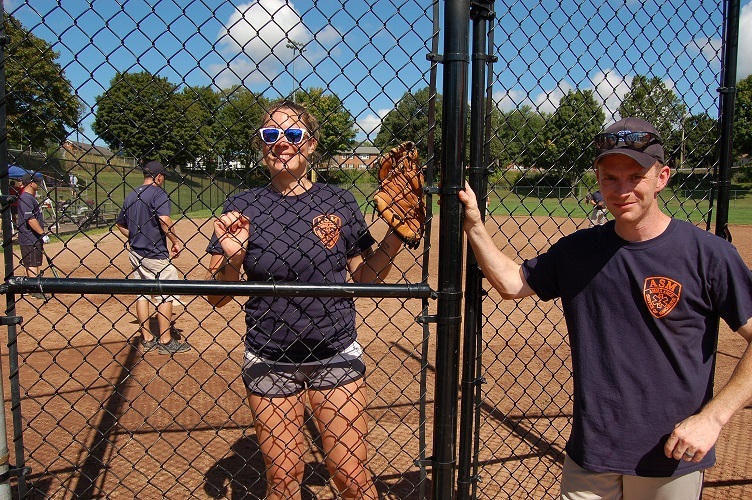 Please click here to read Contact Reporter Jesse Leavenworth’s article in the Hartford Courant! 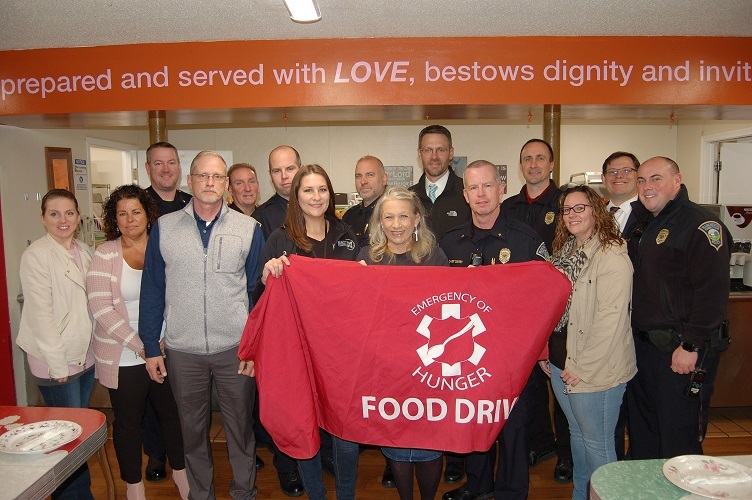 The 9th Annual “Emergency of Hunger” Food Drive kicked off this past weekend with Manchester Area Conference of Churches and Hockanum Valley Community Council getting an early start. 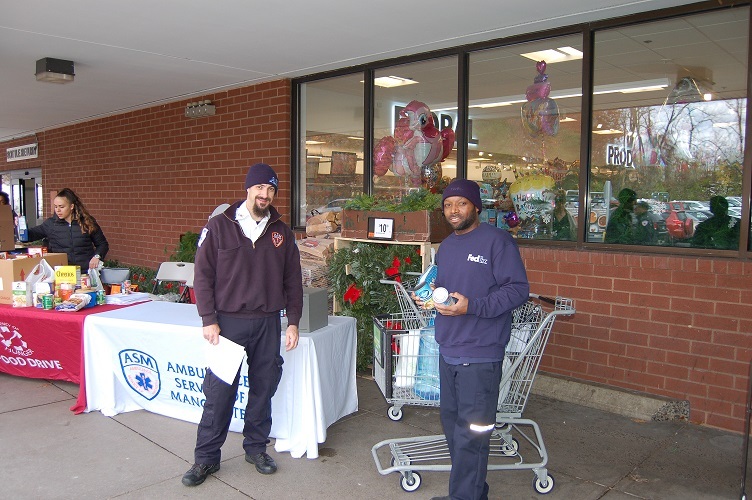 Goods were collected at Manchester, Vernon and Rockville Stop & Shops. 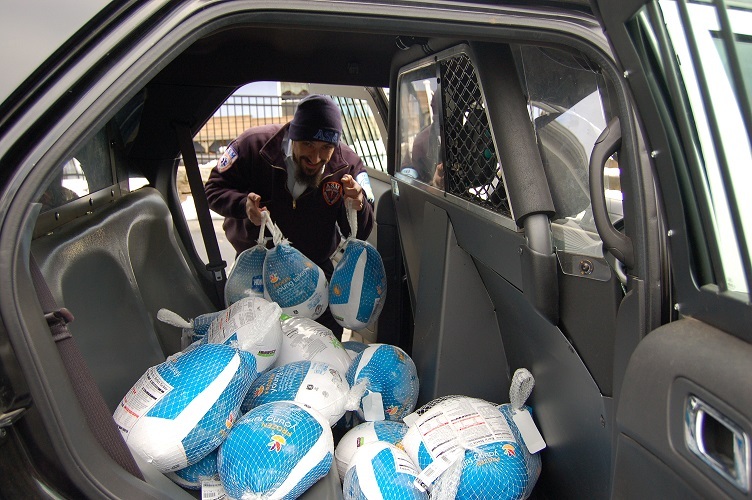 Thus far, a total of 7,474 food items, 257 turkeys and over $5700 has been donated by community members. 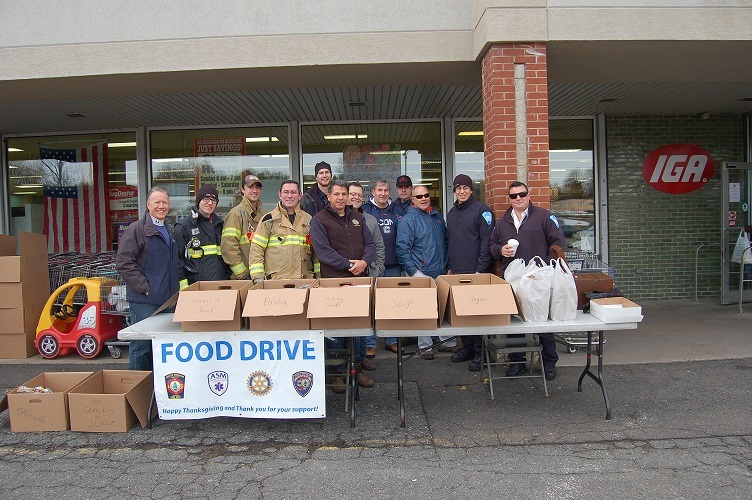 This weekend, South Windsor Food and Fuel Bank joins the effort with help from South Windsor Police, Fire, and Rotary Club Members. 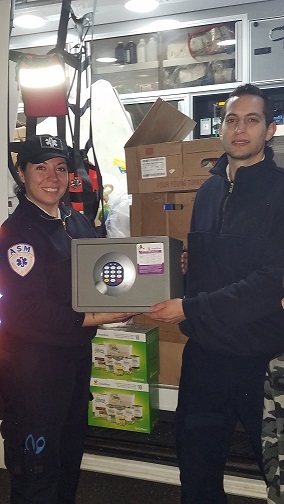 Geissler’s in South Windsor, 965 Sullivan Ave.
A special thanks to all of the participants who braved the cold this past Saturday and Sunday! 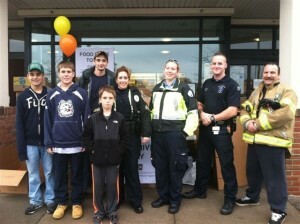 9th Annual Emergency of Hunger Food Drive! 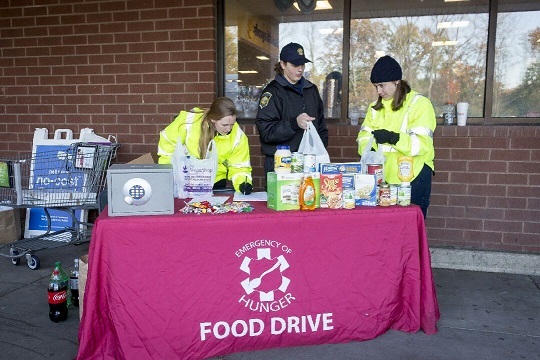 First responders again are collecting food to stock regional soup kitchens and pantries. 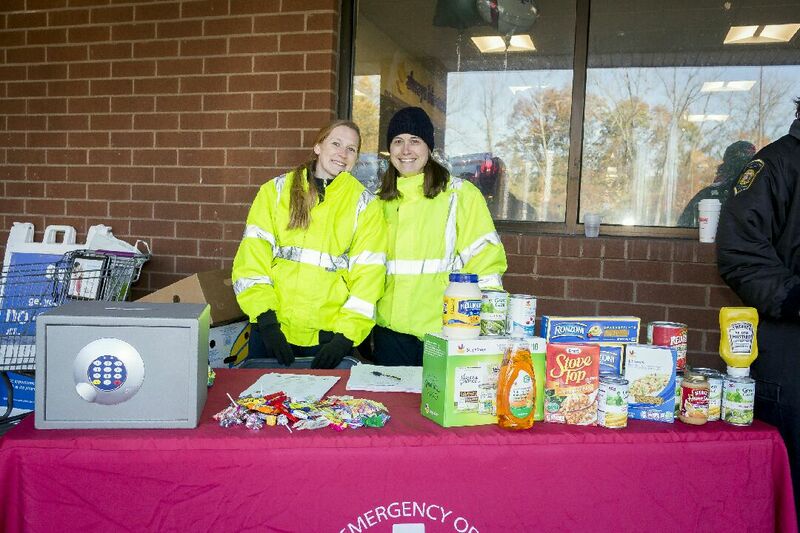 The first collection for the Emergency of Hunger Food Drive is set for Saturday and Sunday from 10 a.m. to 6 p.m. at the Manchester Stop & Shop, 286 Broad St. 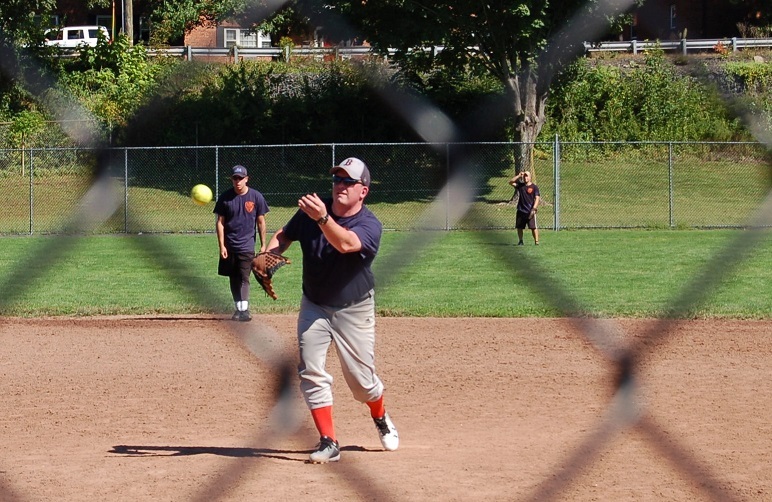 The effort is to continue the following weekend. 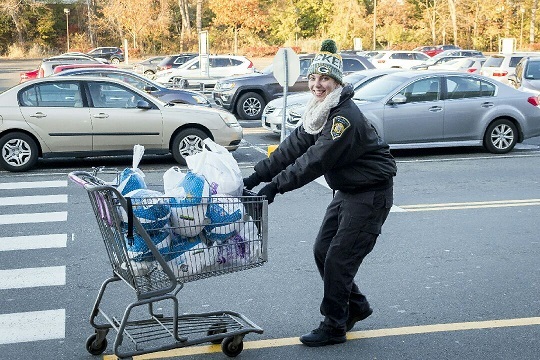 Now in its ninth year, the drive relies on volunteers from police, fire and emergency medical agencies, along with Rotary Club members and Stop & Shop and Geissler’s supermarkets. 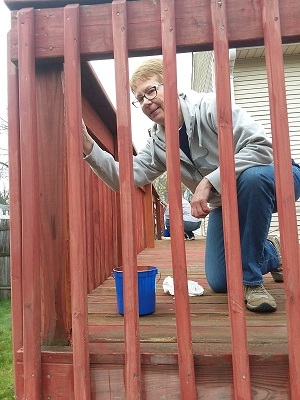 Collections benefit clients of soup kitchens and food pantries run by Manchester Area Conference of Churches Charities and the Hockanum Valley Community Council. 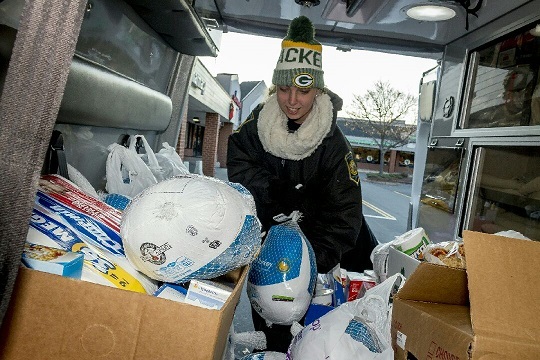 Last year, people donated about 34,000 food items, 650 turkeys and $16,000 in gift cards and cash. 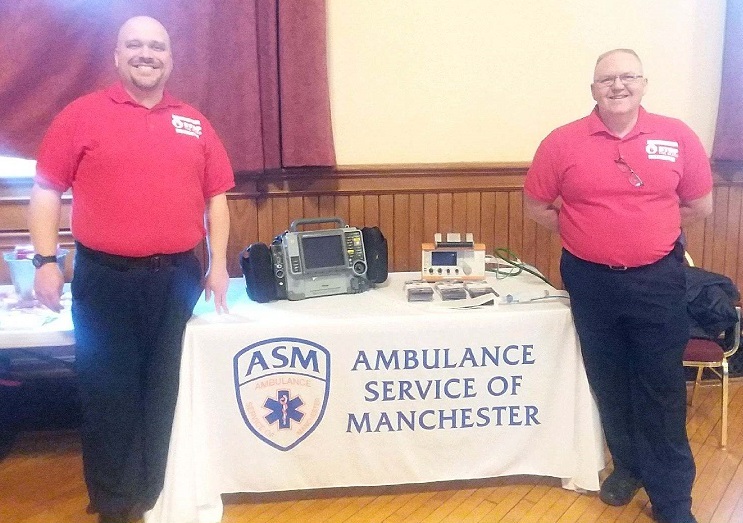 MANCHESTER- On Thursday October 12th, ASM Director of Operations, Stephen Conley, served as a panelist at St. Bridget’s Church to offer insight on the opioid crisis from the EMS provider’s perspective. 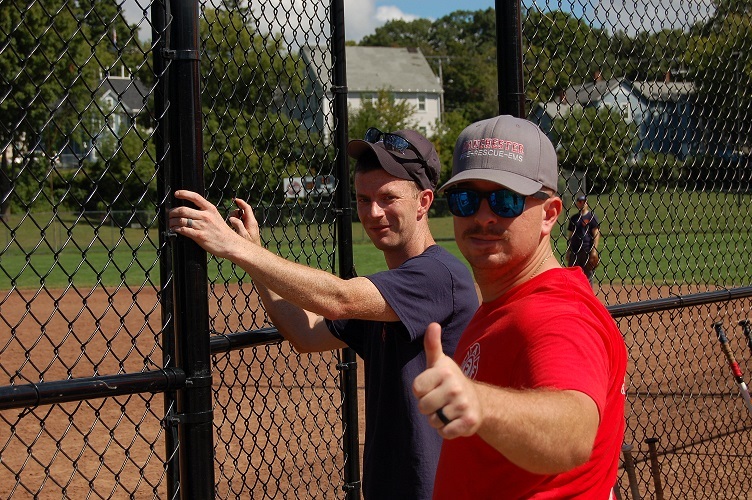 The event was covered by Annie Gentile of the Hartford Courant and published in the Courant Community section this morning. 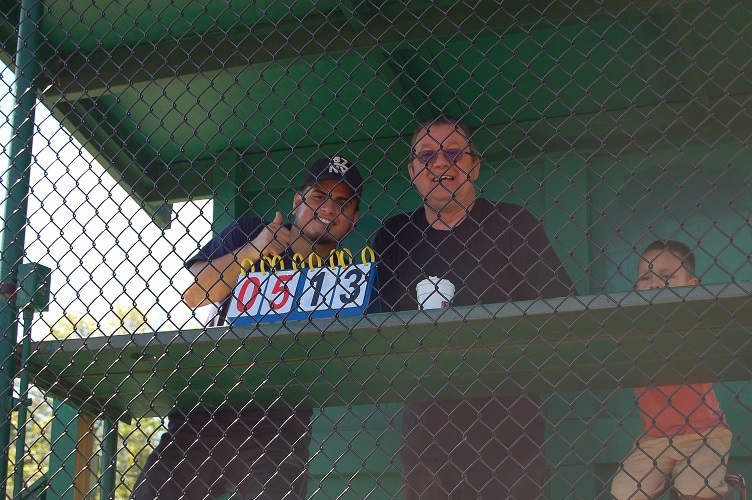 For the full story, please Click Here! 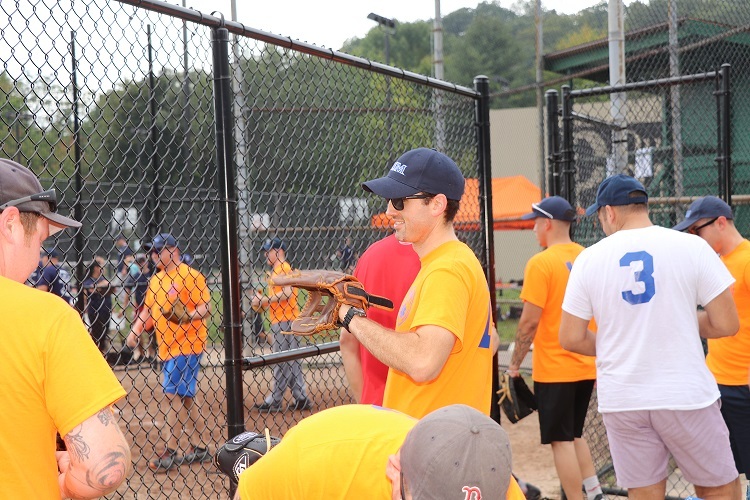 ASM Plays in Annual Charity Softball Tournament! 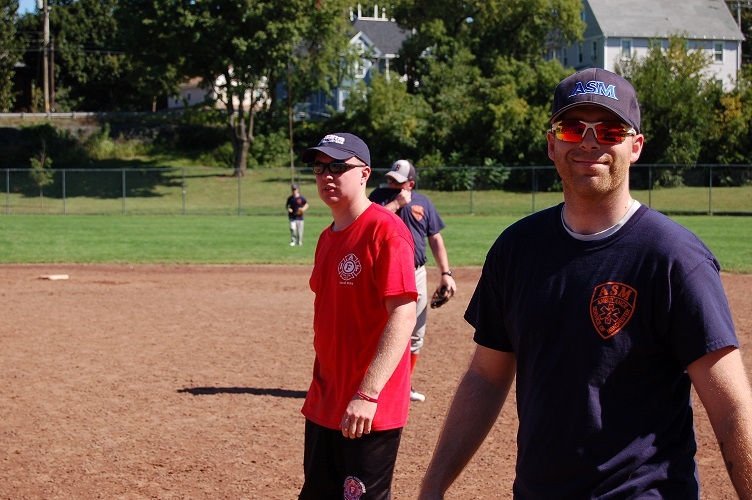 MANCHESTER — On September 16, 2017 Ambulance Service of Manchester employees returned to play in an annual charity softball tournament against teams from Manchester Police Department and Manchester Fire Rescue EMS. 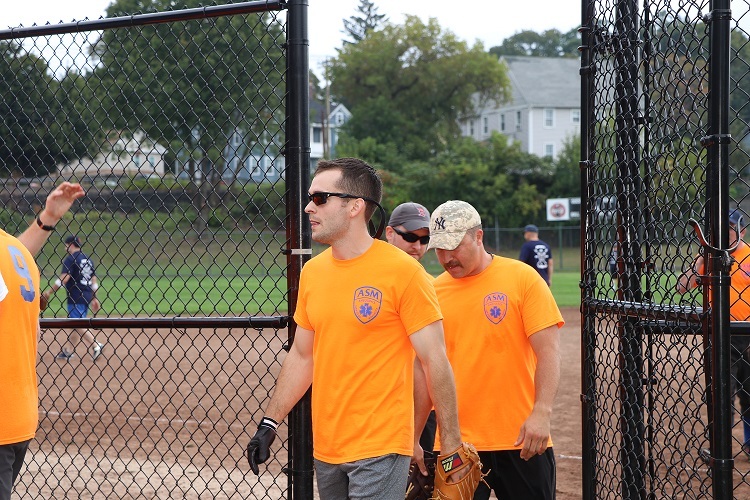 Proceeds from the event benefit the Manchester Police Benevolent Association. 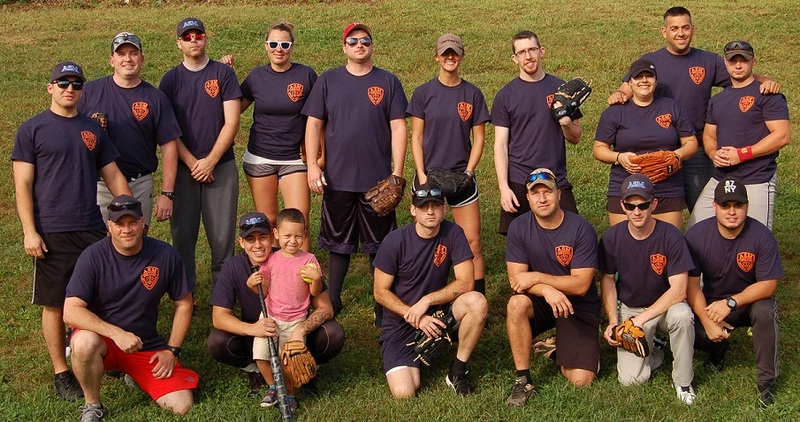 Photos from members of all three agencies can be viewed below! 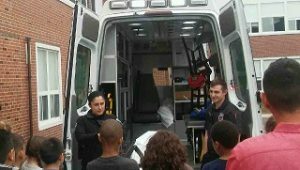 MANCHESTER — On April 28th, 2017 ASM’s Nora Young and Justin Craig, attended Bowers Elementary School’s 4th Annual Career Day to talk to the children about ambulances, Paramedics and EMTs, and medical emergencies. 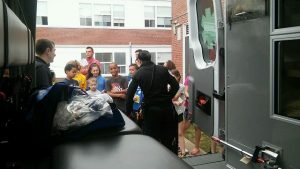 Members of Manchester Police Department were also in attendance. 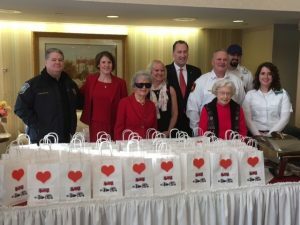 MANCHESTER — On Valentine’s Day, the staff and residents of Arbors of Hop Brook Retirement Community graciously hosted a “Love our First Responders” breakfast demonstrating their appreciation and respect for members of The Ambulance Service of Manchester, Manchester Police Department, and Manchester Fire Department. 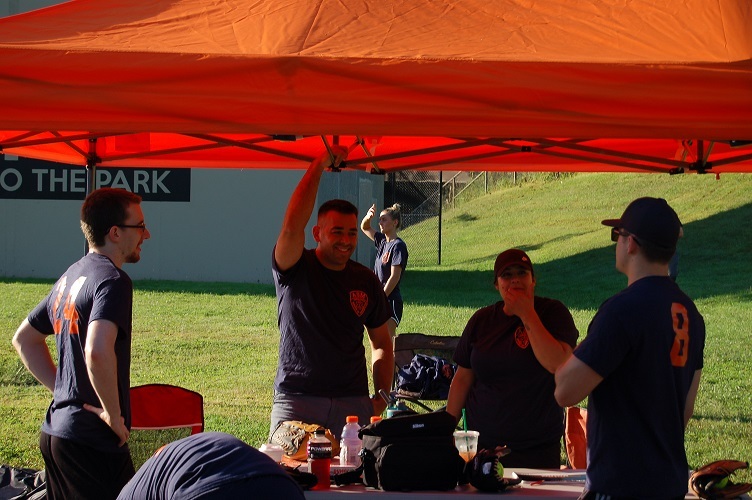 Activity Director Laurie Robinson organized the event, and offered the following sentiment: “Thank you for your prompt, caring, professional, unselfish and noble actions. We respect and appreciate what you do for our community. 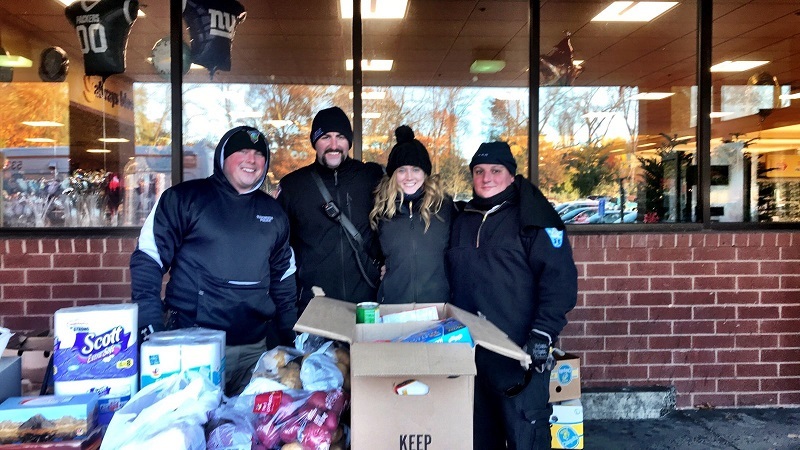 Our hearts are thankful for your extraordinary efforts.” Included in the picture to your left are excited and grateful residents, members of the Arbors staff, Manchester Mayor Jay Moran, Police Chief Marc Montminy, Fire Chief David Billings, and EMT’s Sean Gregg and Elizabeth Miller from ASM. 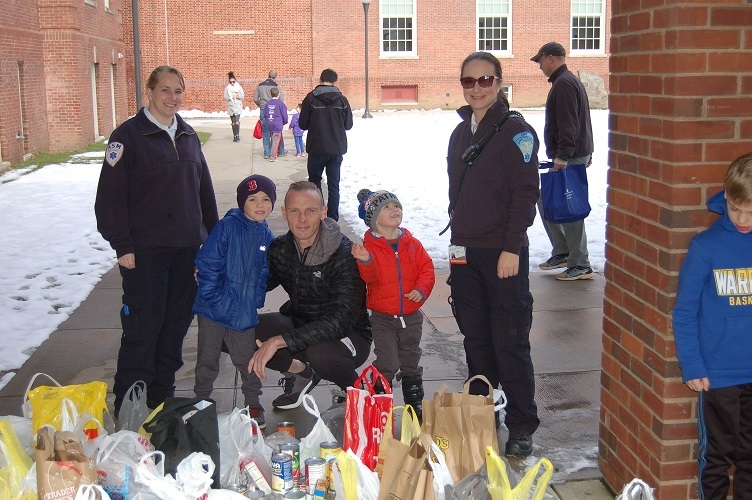 MANCHESTER – The 8th Annual “Emergency of Hunger” Food Drive, composed of first responders, Rotary members, and others, was a great success! 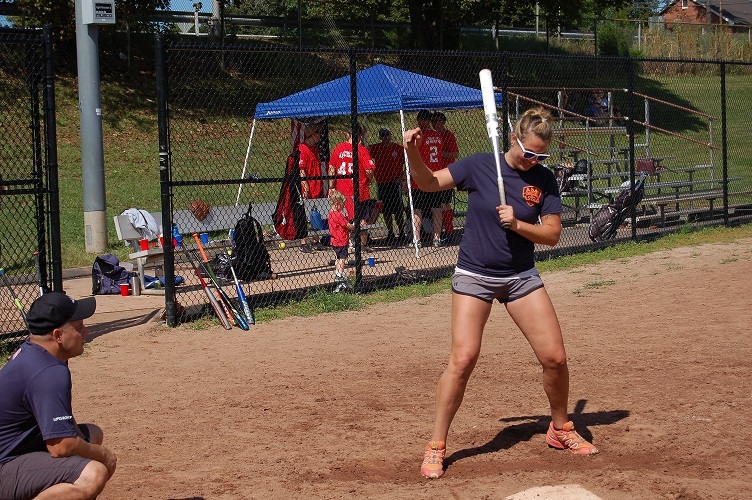 Their combined efforts continue to make a deep and widening impact on hunger in greater Hartford. 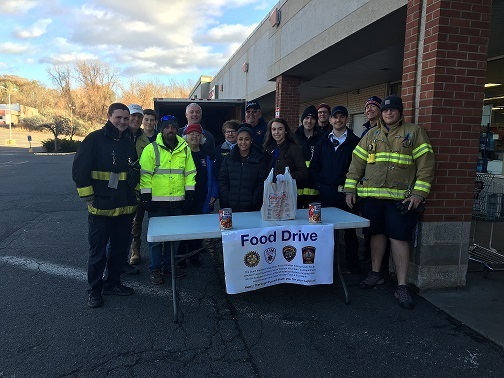 This year volunteers from Manchester, Vernon, South Windsor, Windsor, and Stop & Shop Supermarkets collected a staggering 34,000+ food items, 650+ turkeys, and almost $16,000 in gift card and monitory donations. 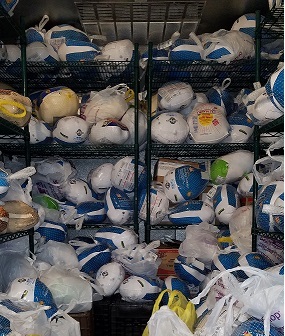 Thanks to the wonderful generosity of the community over the last eight years, we have been able to collect a total of 247,000+ food items, 7,000+ turkeys, and over $159,500 in gift card and monitory donations. 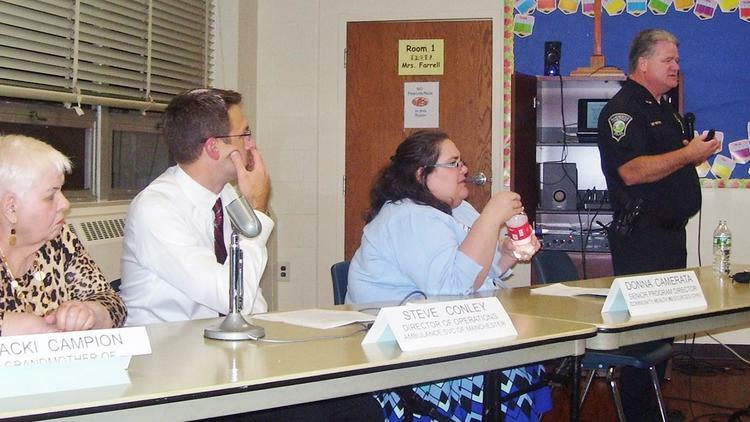 Click HERE to read the Hartford Currant Article!